Our team of 1,200 human office based transcribers can return files within 1 hour if required, but we have 3-, 5-, 12-, 24- or 48-hour turnaround times to choose from. Experience the power of our award-winning transcription service in your pocket, at your desk, or on the go. Record letters, reports, case notes, interviews and much more. The possibilities are endless, and the time and money you can save are significant. 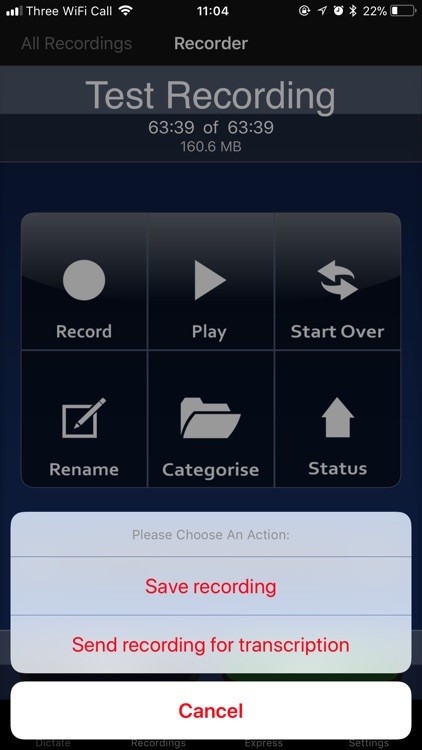 IMPORTANT: All users can record and edit audio files. 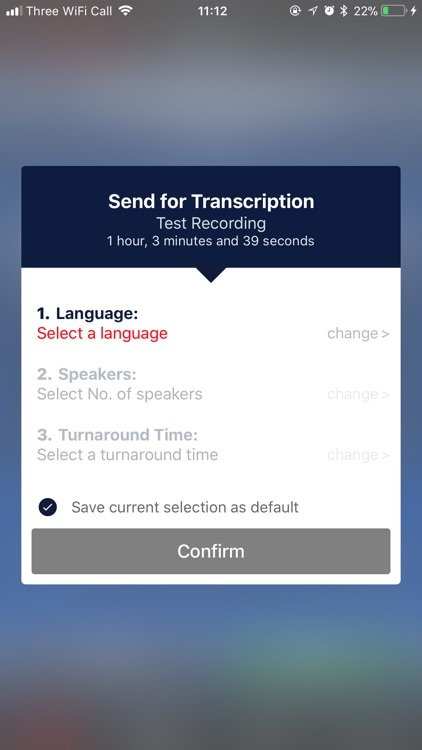 To take advantage of the dictate2us transcription features, you will need to register within the app, which only takes 60 seconds! 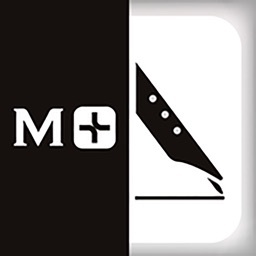 You can download the app for free, and a £10 ($15) free trial credit is offered so you can test our typing service. 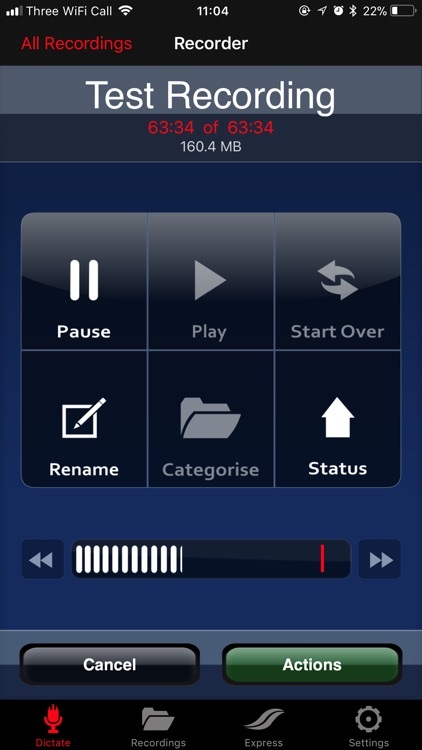 When the trial credit has been used, we then charge an audio minute rate, depending on the turnaround chosen. You can add credit to your account using PayPal or a debit/credit card. dictate2us is the US’s number one transcription service provider of accurately typed documents with fast turnaround times. 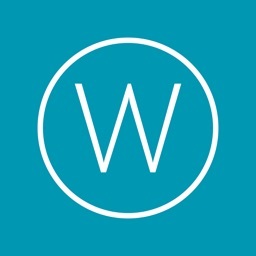 We have unparalleled experience in the transcription industry, working with over 300,000 clients worldwide. We work with hospitals, law firms, government bodies, students and universities. Our typists are experienced in specific fields. They are familiar with different terminologies and formatting styles. 1. 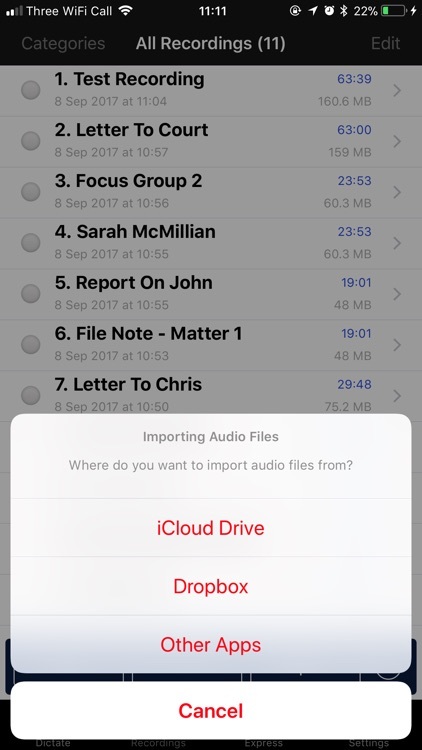 The user records audio and saves a recording with the dictate2us app. 2. 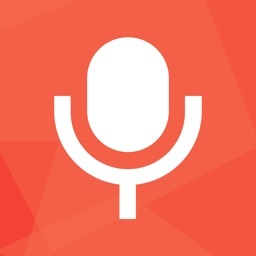 The audio is securely uploaded to the dictate2us transcription platform. 3. A dedicated typist transcribes the file into a Microsoft Word document. 4. An editor amends any errors or formatting issues. 5. The document is proofread to ensure accuracy. 6. The finished document is e-mailed to you or made available for download. How do we charge for transcription? 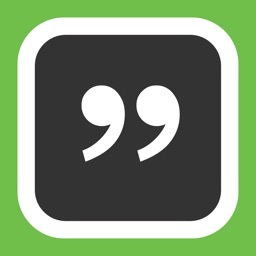 We charge per minute of audio rather than per word, line or time taken to type. We believe this is the fairest way as you will know exactly how much a file will cost before uploading. People dictate 3 to 4 times more quickly than they type. 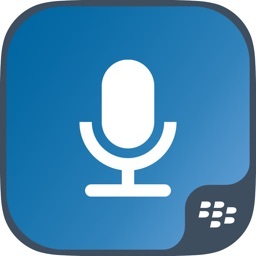 Thus, a 10-minute dictation file could take up to 40 minutes to transcribe. With d2u, you only pay for the 10 minutes. How long does it take to transcribe? 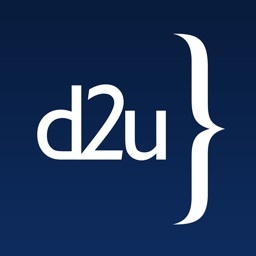 The d2u app allows users to get their transcribed documents back extremely quickly. As soon as your encrypted file arrives at our servers, it is decrypted and assigned to your regular typist. 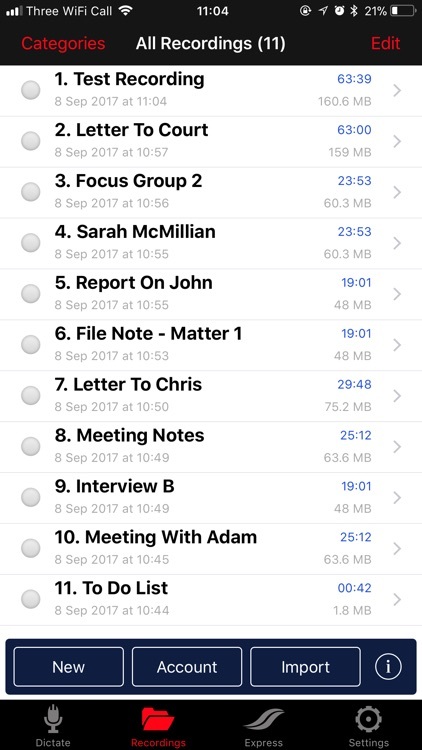 Once edited and proofread, our online transcription platform will e-mail a copy of the finished document, or, if preferred, a link can be sent to download the document straight to your phone, tablet or PC. We return work in a Microsoft Word document and can type into your personal letterhead or template. The d2u Transcriber app uses state-of-the-art data security, including military-grade encryption similar to that used in online banking and retail websites. Our servers are UK-based and hack-tested daily. We are fully data protected with the ICO and fully HIPPA compliant. Our staff are office-based and have signed non-disclosure agreements. We do not employ homeworkers, and our staff have no means to remove data from our systems.